Dr. Timothy Leary, outer-space advocate, ex-Harvard professor, psychologist, philosopher, explorer, teacher, optimist, humorist, author and revolutionary avatar of a generation. 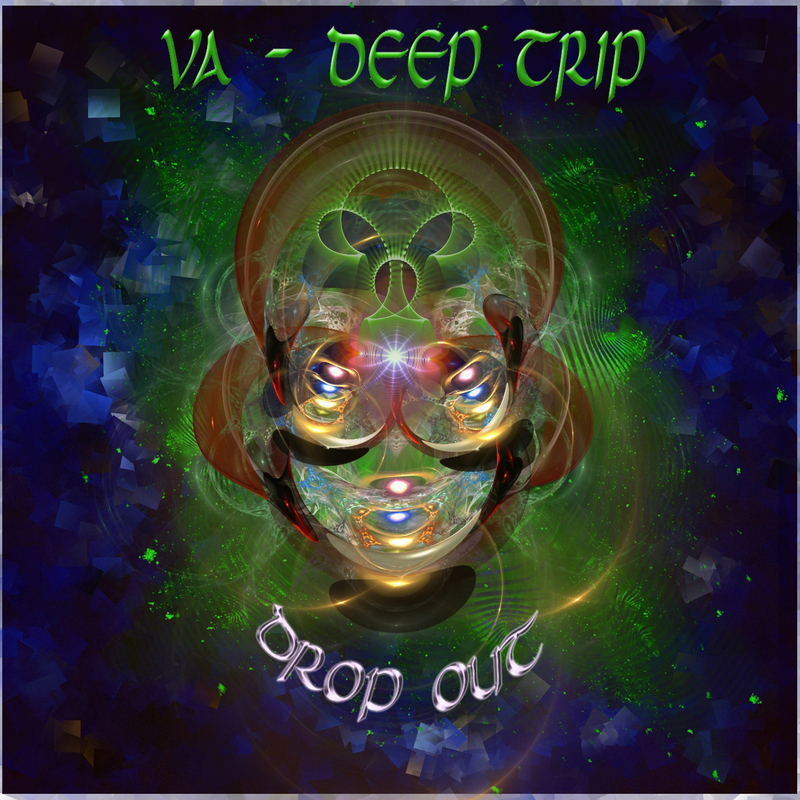 Drop out compilation is the end of this Trilogy, having been constructed since last year (2009) and finally reveals the base ideology of a mind concept truly directed to awaken anyone. 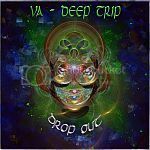 The music was highly selective and compiled in a way, to take you in a journey with a wide view of psychedelic sounds made by music producers known in our scene. They are the veins of a new generation ! 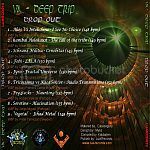 This compilation has very strong music and message attached. We live in the real world and it is about that we have to direct our minds, for tomorrow, we can do better. 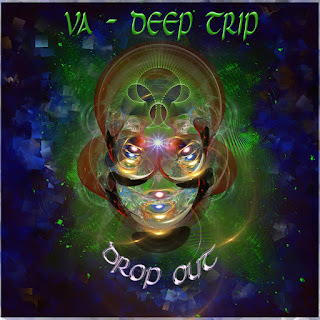 Drop out - is part of a spiral, the spiral of the society ! Drop out means the end and all ends, are the start of something. Again, we are back turning on, tuning in and at the end, we reach the drop out. 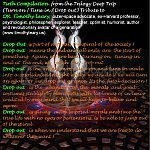 Drop out is the reflection of turn on and tune in made into a consolidated thought where we decide if we will turn on again or just drop out at once. Its the final decision ! Drop out is when we understand that we are free to do whatever they want !? Freedom, mind setting and awareness ! The message is simple, we all complain in our days about the social situation but not much has been made to change the social approach made to our private lives, as we continue to accept the rules and laws imposed, slowly castrating our freedom day by day with the argument of it being for our own good. "Truth may be found in a language other than one's own"
The matter of social repression through government decisions are paid by any one of us despite the country or language. Under Timothy Leary philosophy ( not just as a L.S.D guru but also a Philosopher and free thinker) we have to abandon the idea that we can not do nothing about it... WE CAN ! In a case of a band (more than 1 musician) they write the music to play. If one of the band members is not happy with some part in the song, he talks with the other members and together they decide if they will change that part of the song or not, or maybe they end up finding a better solution for that part of the song. This is exactly the same way how government rules in our days ! They are the musicians and our lives is their music. They play, they make changes, they do arrangements and they take decisions about us. We need them to manage our country, not our lives ! We are the majority and we can do something about it! 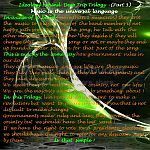 In this Trilogy, lua records does not want to make a revolution but wants to tell you that it is not difficult to make changes. Governments make rules and laws, they govern the country but we should have the last word ! If we have the right to vote for a president, we should have a right of vote for any decision made by them. 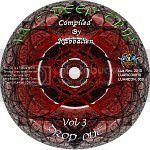 Thank's to all Artists and Friends Participating in this compilation. Thank you all for making part of the New Psychedelic Generation and support our label. Lua Records is proud to announce a contract has been signed last Month (01/02/2010) with Times music for digital distribution. Pakistan / Sri Lanka / Nepal / Bhutan and Bangladesh, making Lua Records the first European Psychedelic Record label distributed to the sub continent. Lua Records disclaim any connection with politics, religion or any other groups or fanatic organisations. We are free thinkers and we believe in equality and Human rights for the world. Our message is real and we use music to spread awareness. If you support our cause, please buy the cd from our web site !